I bought this after watching a series of interviews with world-experts in Alzheimers/Dementia. It was recommended. This seems to be an excellent product and we will continue to take this. My mental clarity is improving! I like that it's manufactured here in the USA. As several reviews noted, I also first heard about Centrophenoxine durong the recent online symposium Awakening from Alzheimers. I jumped on it since I had been concerned about my short term memory problems. I have been taking it along with Rhodiola for several weeks. It's hard to gauge the effect of this supplement alone. Hence, the four, rather than five, stars. Nevertheless, I do think I am doing better with my short term memory these days than before. I think I will keep using it. I have been taking centrophenoxine for just over a month. I began after watching the "Awakening from Alzheimers" series and Dr. Richard Brown recommending several supplements for brain health, centrophenoxine being one of them. At present I feel it is giving me more focus and better immediate recall, but I also feel like I will continue to see improved results from this product. The studies that Dr. Brown cited concerning centrophenoxine are very encouraging. I take one in the morning and usually another early afternoon. The ratings for the Double Wood Centrophenoxine were much higher than other products I considered, which first encouraged me to go with this brand. I love it that it is made in the USA and that they have free shipping. 4.0 - Good for someone who is experiencing memory problems. I attended an online summit on Alzheimers/Dementia and a well credentialed neurologist named Dr. Richard Brown recommended centrophenoxine. It did help my wife who is struggling with this horrid disease. When taking this she seems more clear and lucid...not so confused and agitated. The only negative we found was it tends to raise her blood pressure so this had to be closely monitored while she was taking it. 5.0 - Clarity and Focus Increased. Ordered this product after watching medical series on Dementia and Alzheimers. This was one of the key ingredients used to increase mental clarity and focus. This is one of the best products I found after doing a good ol' Google search. Since taking (only for about 10 days) I HAVE noticed in increase in my ability to focus and remember. Not a stupendous improvement but a noticeable improvement. I will update after one month of usage. So far it is working which is what I wanted. Actually what more could I want? Note: I did not get a free product or discount for this review. I will continue to use unless it somehoe stops working. I heard about this on a seminar on aging and Alzheimers. It has long been used in Europe with great success. It is helping with memory and I have had no side effects. 5.0 - Easy to take and no aftertaste. Well I have only been on the pills for a month and I feel great! I think it is supposed to be for Alzheimers and I just took it as a precautionary measure. 5.0 - Great customer service. Good product. I was so please to find this product. It was recommended in a new series called Awakening from Alzheimers. Your service was excellent and I am hopeful that using this product will produce great results. I originally started taking Centrophenoxine because I heard a Dr. on the Awakening from Alzheimers on-line docu-series state that it is one of the first places he starts with patients with cognitive decline. He said that it can reverse some signs of aging by eliminating waste product buildup in the brain which sounded like something I wanted! I was taking CDP Choline and not really noticing any cognitive enhancement, and I read that Centrophenoxine is a cholinergic compound which acts as a better absorbed transporter of DMAE into the brain which also made me want to try it. I do find that I feel sharper when I take it in the morning. Because it is a stimulant I only take it in the morning. Supposedly the benefits of taking only one bottle last for a long time which appeals to me. Did have headaches for about a week which wasn't fun but those have gone away. I've only been taking one tab a day and find I need to take it with food otherwise it upsets my stomach. I do tend to have acid reflux quite a bit so this may not happen to others. I do notice my memory is improving so it's doing what it's supposed to do. Working for my husband too. Wish this was made in 200 mg so I could have started a lower dose as was suggested in the Awakening from Alzheimers seminar. 4.0 - Without specific symptoms, no improvement to report. Not a bad thing. 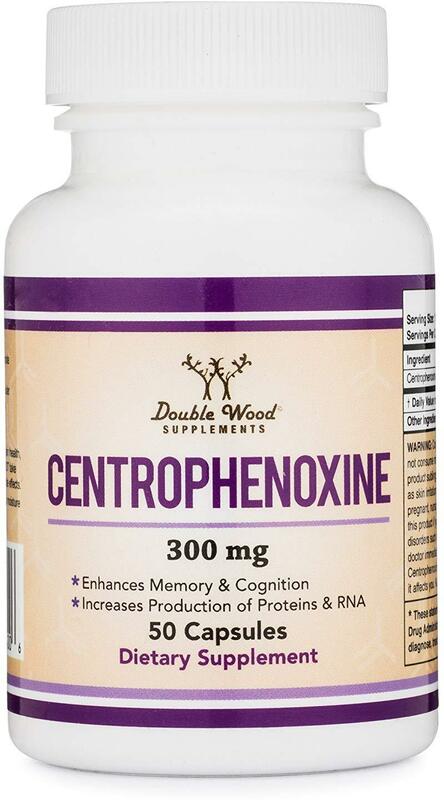 I heard about Centrophenoxine from the online educational offering, Awakening from Alzheimers. It was highly promoted by one of the physicians in the symposium. Unfortunately, I am not able to fully speak to it's efficacy because I am using it to try to avoid Alzheimers symptoms/disease. Since I'm pretty healthy currently, I just hope it helps keep me that way. For those who already have some Alzheimers symptoms or MCI, your reports would be much more helpful than mine. I purchased this after watching several outstanding documentaries on Alzheimers, memory loss and memory decline. The well respected doctors on this show recommended Centrophenoxine. I am not old but am past 60 ;-) I still work full time and in fact have a TON of things to do and to remember relative to our business. I found myself forgetting things a lot, feeling foggy brained and quite frankly it scared me. I ordered a botthle of this based on those documentaries and in 2 days I could tell a difference. I was able to keep my focus and I felt sharp. One of my first thoughts about this was "My Brain Is Back!". This brand has been out of stock for a while so I had to purchase another brand and there IS a distinct difference. I did not fell the same level of clarity and sharpness as I do when I take this brand. I use tumeric to prevent boils mainly. It works like a charm. But frequently I hear of other benefits, such as slowing the onset of Alzheimers, so I will stick with it. Great product at a great price!! Turmeric is sighted in many new studies as a contributor anti-oxidant which MAY be an aid to deferred brain function loss (many of us are concerned w/the threat of Alzheimers'). Supplements and vitamins are in and then they are out and then back in again depending on the latest report. Tumeric is supposed to help in a wide range of problems from cancer to Alzheimers so I have added it to my daily vitamin regimen. I've had migraines since I was little and have tried A LOT of things to try to manage them. I've been taking two pills of this product a day for the last month and so far it actually seems to be helping. I've had less headaches than usal, and the ones I've had haven't been as awful. It's too early to swear that there's a correlation, but so far I'm hopeful. My partner is also taking them after I read that they may help prevent Alzheimers, which runs in his family. 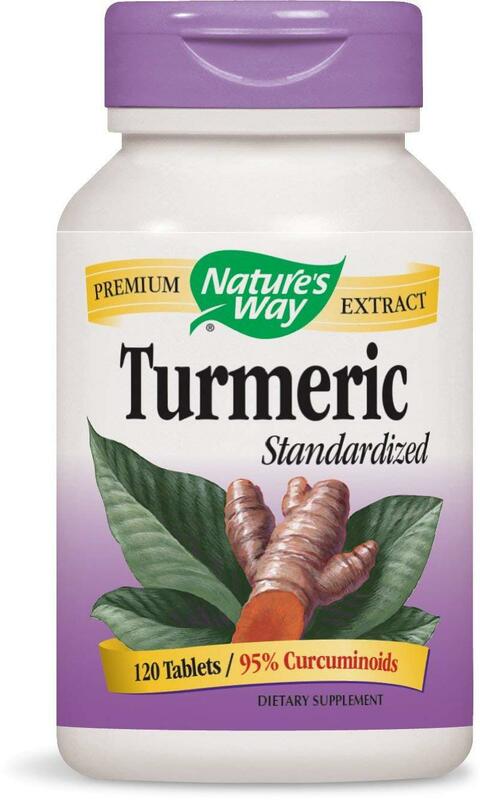 The value on tumeric in this brand at Amazon's price is the best around. It appears to be working well--no joint pain! Am hoping it staves off Alzheimers, also...we'll see. I am a Neuroscientist. Recently, many neuroscientists have discovered that turmeric has many beneficial effects on Alzheimers disease patients and Epilepy patients. Studies have been done at the cellular level, at the animal trials and even human clinic trial from different research institutes in different countries. To my surprise, all studies have come to the same conclusion above. I HOPE that turmeric can indeed relieve/cure the patients. I heard that tumeric might be useful in fighting Alzheimers disease so I bought this for my grandmother. After 2 weeks, we havnt yet noticed a difference but it is probably still too early to say. I really like this company and their products. My first experience was with their milk thistle, which is pharmacutical grade from Germany. So my confidence in them is based on the likelyhood that they are using a similar standard on this tumeric. My husband and I take it in hopes that it will of be of benefit for his Alzheimers disease, as some studies have shown, and any inflamation that we both have. No complaints. My dad's side of the family has a long history of Alzheimers, so I'll do whatever I've got to do from a prevention perspective. I'm going to get him a bottle too! 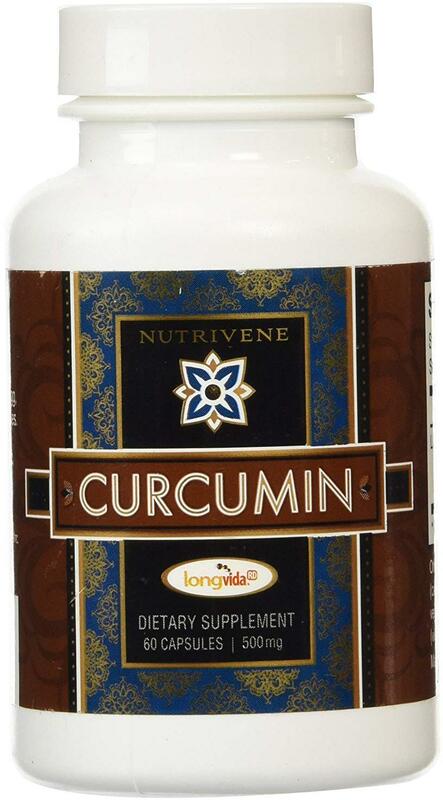 Longvida appears to be one of the best formulations of curcumin, from my research. So until someone can provide Longvida curcumin at a better price, this brand is the way to go for me! This was a recommended supplement for anti-Alzheimers. My brain can use all the help it can get. 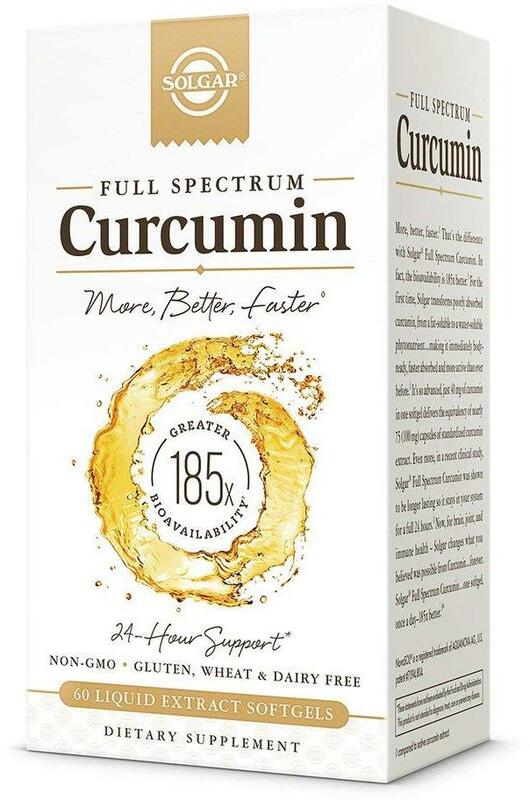 Alzheimers runs in the family but I feel you need a whole lot more of Curcumin to fend off Alzheimers and I'm not wasting my money. As for cancer prevention, they testing that has been done of other curcumins were using mega dosages that we as consumers cannot afford. 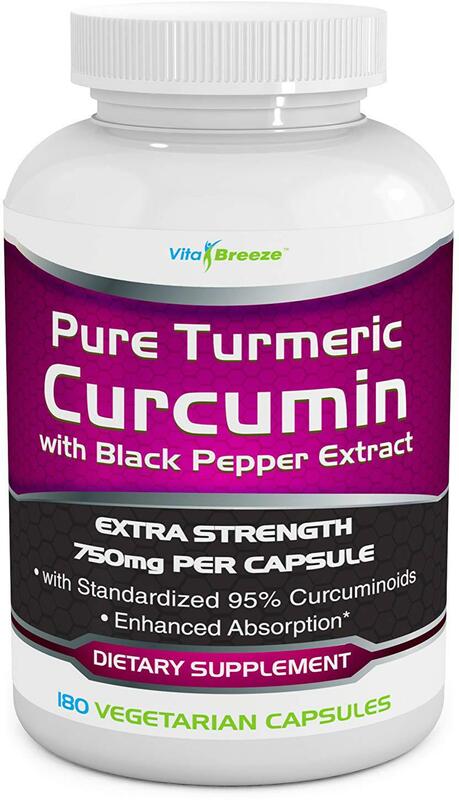 This is not the one for that but Curcumin and not NOW FOODS is very expensive and you just need huge doses to get any kind of result. Most can't afford it. These Curcumin products just don't give you enough in dosage. I guess it helps sore muscles but I've been taking two kinds and my lower back aches every morning. I know all about the different Curcumins for different things but its just not enough to make a difference unless you're taking a huge amount. So how do you know if it works? It is hard to tell since it is more of a "preventative" to inflammation and alzheimers. However, i like it because it is in oil rather than a powder. I give to myself and my dog daily. The biggest problem with curcumin is absorption so this one makes hefty claims about absorption and i bought it based on that claim. I will say that my inflammation markers went from sky high to a normal range within 6 weeks after i started supplements like curcumin and astaxanthin. 5.0 - Solgar has a great products and a great reputation. 5.0 - Great Novel Delivery method! I wanted to revise my review on this product. I have tested it once before, but with out doing in depth research on this patented delivery method. Some time later from its release and we are starting to see some studies pop up on this novel delivery method, NovaSOL. I recently read a study on mice with a specific alzheimers gene mutation exhibited improved mitochondrial function, removed Amyloid Beta plaque from the brain, and showed other benefits from oral delivery of NovaSOL Curcumin over a period of time. I have been using Curcumin for years...I have learned how important the C3 and Bioperine are to the effectiveness of the supplement! So, I take 2 and sometimes 3 a day, why am I using them...my Mother had Alzheimers and this is my way of addressing that I'm my own body. 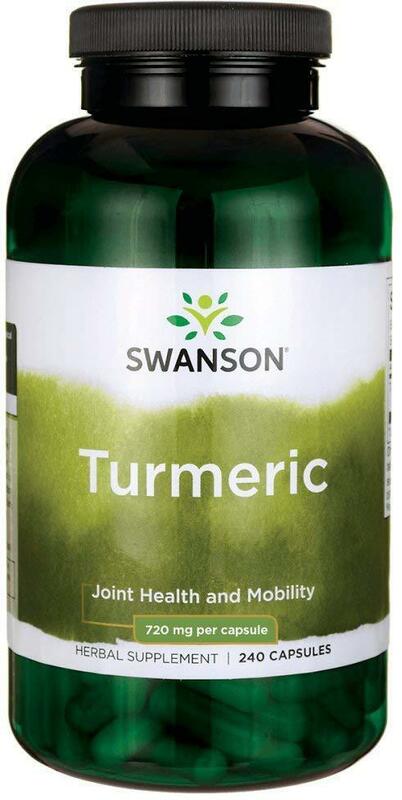 It is a potent anti-inflammatory and therefore, at 67 yo it addresses the joint inflammation as well. I am very active and I feel this is the best brand I can find for the money. As I mentioned I have been using it for about 8 yrs and have tried many others, I never have any stomach discomfort from this brand and I take a bit higher dose, so that is a plus for me! My wife's neurologist recommended that I purchase Tumeric with pepper to reduce my chances of memory loss, dementia, and Alzheimers. He said there was research evidence to support that use. He said 1500 mg/day should do it. I purchased the product for that reason. When I read the previous reviews, I discovered it was intended as an anti-inflammatory. I started taking 1 pill with breakfast and a second at dinner. Within a week, my chronic back pain completely disappeared. My muscle soreness from strenuous exercise everyday decreased so I could continue that daily exercise. I don't know whether the product will reduce my dementia, but I will continue to use it for its anti-inflammatory effectiveness. I highly recommend it. Really like this product. Read a really interesting article in Psychology Today that prompted me to try it. Works as advertised. Not a drastic difference, but I feel like it makes a difference with my personal health and well being. It is a natural anti inflammatory and great for memory and mood stabilization. Also, supposed to be a natural, preventative measure for Alzheimers. I will order again. 5.0 - A must have for cognitive function. This product is a must have for the cognitive awareness. I work for Neurologists and they recommend this for dementia and alzheimers patients. I take it for memory health and it does have a positive effect. I have had no side effects. It's a wonderful product. 5.0 - Actually does what is says. I will continue to take this product, as I do believe in it helps ward off cancer. And my Mom has Alzheimers and dementia, I do think this will help with these diseases too. Like all supplements, efficacy is extremely difficult to prove. After reading scientific studies regarding how Curcumin may slow or reverse the effects of Alzheimers disease, I bought this to try on a family member with Alzheimers. I could not afford the cost of the Curcumin over the time frame needed to notice any detectable improvements. The price is very high and is not subsidized by Medicare, so it will take a very long time at a high expense to even see any possible improvement. 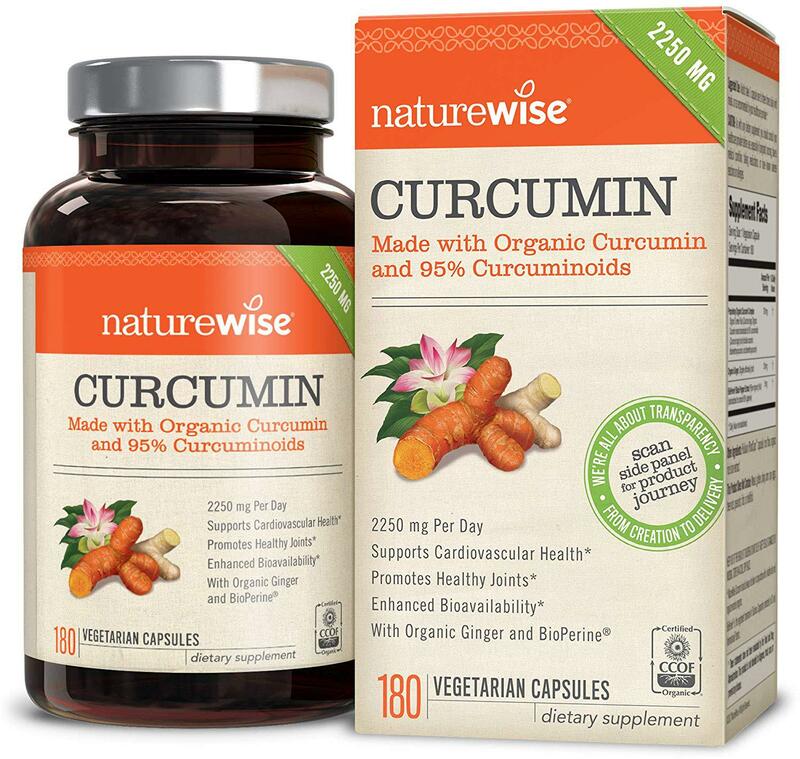 If Curcumin is proven scientifically effective, then I will buy again. As it now stands, I think only the manufacturer has something to gain. Great stuff. There are medical trials going on to see its benefits for reducing symptoms of alzheimers. It is element in the spice turmeric which is used widely in India's foods. There are very few cases of alzheimers in India. 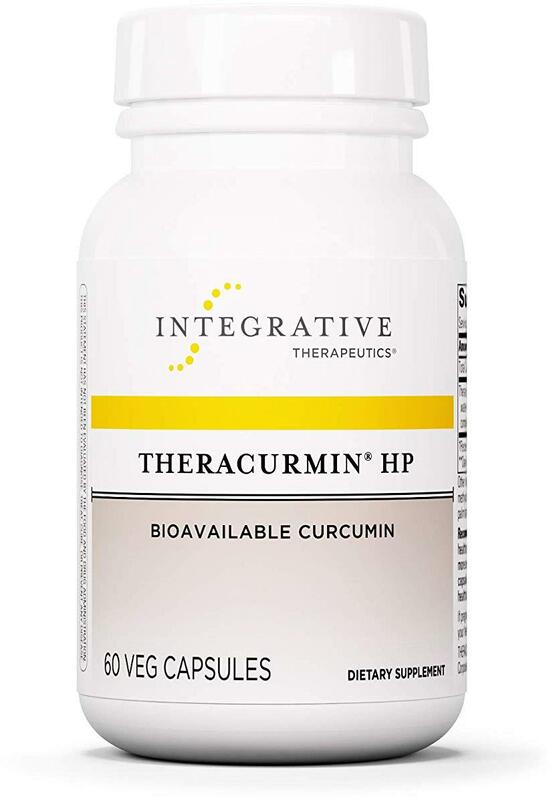 Started taking this because of studies showing how India has less Alzheimers than the U.S., and the Thera version makes cucurmin more easily absorbed. But, what I've noticed the first week is how much it has helped with arthritis pain. 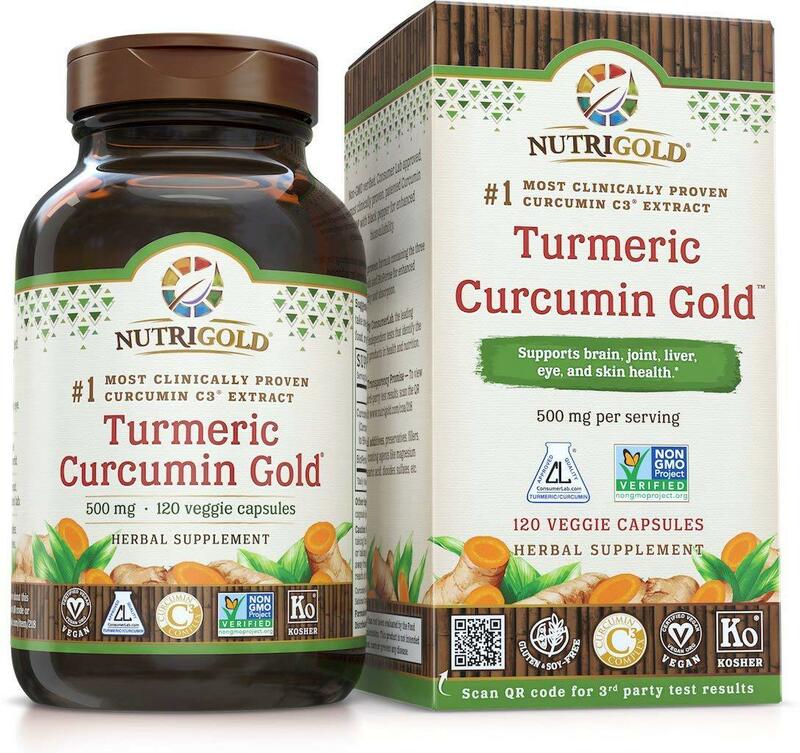 5.0 - Nutrigold Tumeric Curcumin Gold is a very good product. I use Tumeric and Curcumin for the prevention of Alzheimers. I found this product to be very good. I feel this company puts out a quality product. I would recommend this product to others that are considering it. 4.0 - Good - and could be GREAT!! !